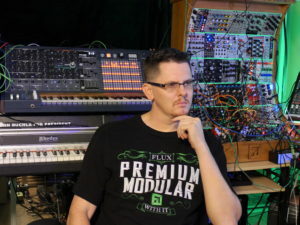 Hi I am Ken ‘Flux’ Pierce, I am an Avid music producer, Sound designer, Music tech consultant and Product specialist. My Strengths are rooted in my belief that the creative process is something that can be honed and refined. Just as one would trouble shoot a problem using a step by step process, the same can be applied to creation of music, and artistic expression as a whole. This site is Founded with the soul purpose of helping others channel creativity in their workflow. I will continue to post tutorials, and overviews of different products as well as show new and alternative ways to use these products. Feel free to contact me with any comments or suggestions. and remember to Flux with it!